Directors of the $3 billion California stem cell agency meet next week to consider changes in conflict of interest rules for the persons who make virtually all the decisions on the hundreds of applications for the cash that it hands out for research. ICOC is the abbreviation for the stem cell governing board, whose members are required to publicly disclose many of their financial interests. The changes would affect the out-of-state scientists who score grant applications during closed-door deliberations. The agency's governing board, which has the ultimate legal authority for application approval, has ratified 98 percent of the decisions by the grant working group, according to the agency's own calculations. The agency does not require the scientists to disclose publicly either their economic or professional interests and has resisted proposals for more transparency for years. The interests of reviewers instead are disclosed privately to a limited number of persons within the agency There does not appear to be a significant effort to audit the disclosures for accuracy. “The recommendations of the CIRM working groups have never been routinely and/or regularly adopted by the ICOC. Until the time that such a pattern is detected, the question you suggest we raise with the attorney general is entirely hypothetical, and is therefore not appropriate for submission. We will, however, continue to monitor approvals for such a pattern and will reconsider our decision if one emerges." Because of the closed door nature of the grant application review process, conflict questions rarely surface publicly. Last spring, however, the California Stem Cell Report reported conflict violations involving an internationally reknown scientist-reviewer in a $40 million grant round. The scientist, Lee Hood of Seattle, Wash., is a close friend of one of the applicants, Irv Weissman of Stanford. They also own property together in Montana. Today is more than showdown day for the functioning of the federal government. It is the last day to submit nominations for the Stem Cell Person of 2013. This is the second year for the contest, which carries a $1,000 prize provided by UC Davis stem cell researcher Paul Knoepfler. He runs the contest and is the ultimate arbiter on who wins. You have until midnight to submit your nominations. Here are links to more details. The $3 billion California stem cell agency is predicting that “human healthcare will be greatly improved” by stem cell research by 2024 and this week is fleshing out some of the details of an ambitious plan to help make that happen. The effort involves what the agency calls “Alpha” stem cell clinics. The agency said its proposed $70 million, Alpha network will support its own projects along with products developed worldwide and brought to California. The plan will come before the stem cell agency's standards group tomorrow at a meeting in San Francisco. The agency's staff has recommended alteration of some of the agency's regulations to avoid duplication in connection with review and approval of clinical trials. Also on the standards group agenda are issues dealing with informed consent by providers of somatic cells “obtained under general (biomedical) research protocols" in connection with iPSC (induced pluripotent stem cell) derivation. Dubbed the “Discuss Project,” its goal is “to initiate a process designed to develop consensus for the use of previously collected specimens for iPSC research" and to publish "final considerations" in early 2014. Only six more days remain to submit nominations for the Stem Cell Person of the Year. This is the contest run by UC Davis stem cell researcher Paul Knoepfler, who will give the winner $1,000 of his own, personal cash. Knoepfler initiated the contest last year. The 2012 winner was Roman Reed, a San Francisco Bay Area patient advocate. Knoepfler reported today on his blog that he has received two dozen nominations so far. He is planning on opening up the selection of the semi-finalists to online voting from the list that will be published in early October. Last year he selected the semi-finalists himself. The next new member of the governing board of the California stem cell agency is likely to be a surgeon from Johns Hopkins, Julie Freischlag. Freischlag was named this week as the new vice chancellor for human health services and dean of the UC Davis medical school, replacing Claire Pomeroy, who resigned to become president of the Lasker Foundation. Pomeroy had served on the stem cell board since 2005. She was named to the board by the UC Davis chancellor because of her position as dean of the medical school. Freischlag, who is scheduled to begin her new job Feb. 10, is no ordinary surgeon. 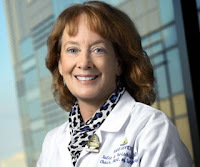 Currently she is chair of the Department of Surgery at Johns Hopkins. Prior to that she was chief of vascular surgery at UCLA. A Baltimore Sun profile of her in 2003 said she stands out because of her stellar career in “perhaps the most macho specialty in medicine.” The article said women surgeons are outnumbered 5 to 1 by men. However, the deans of the other major California medical schools sit on the stem cell agency board, which gives away $300 million a year for research. Given that context, it would seem prudent for the dean of the UC Davis medical school to serve on the board as well. The Sacramento Bee today published an article on UC Davis stem cell researcher Paul Knoepfler and his new book, which explores the basics of stem cells and how to make good judgments concerning possible treatments. The book, “Stem Cells: An Insider's Guide,” is aimed at a general audience while at the same time exploring the nuances of stem cell science. Below is a copy of the article, which appeared on the main page of The Bee Web site early today and which was written by yours truly. In the print version of The Bee, the Knoepfler piece appeared on the same page as a New York Times story dealing with dubious stem cell treatments(Here is a link to the original version of the Times' piece.). The Knoepfler story was also the No. 1 article that turned up this afternoon when the Google news category was searched using the term “stem cell.” It is likely to be published elsewhere in the coming weeks as it is circulated by the McClatchy News Service. In his day job, UC Davis scientist Paul Knoepfler probes the inner workings of stem cells and cancer cells and what makes them behave the way they do. On the side, the father of three daughters blogs about costly, unproven stem cell treatments and provides guidance for those seeking experimental therapies. Knoepfler is a rare stem cell researcher who regularly explores the most problematic aspects of stem cell therapies on the Internet in full public gaze. He considers himself an advocate for patients as well as a scientist, having survived an aggressive form of prostate cancer at the age of 42. Now 46, Knoepfler began his blog in 2010, shortly after his cancer was diagnosed. His blogging has encountered resistance from some colleagues, who are uncomfortable with such public endeavors. But he has polished and expanded the blog to the point that it has received international recognition. He will receive an award in December at the World Stem Cell Summit in San Diego for his advocacy efforts. This month he moved beyond cyberspace and published “Stem Cells: An Insider’s Guide” (World Scientific Publishing). The book covers stem cells from A to Z and is aimed at the general reader, especially people considering stem cell therapy for themselves, a family member or friend. The book comes during what has been described by Christopher Scott, a senior research scholar at Stanford University, as “an epidemic of transplant clinics offering so-called cures and therapies” both here and abroad. The international stem cell medical tourism business, widely promoted on the Internet, is taking in roughly $1 billion annually, according to an estimate in Stanford Medicine, a publication of the Stanford medical school. Knoepfler is a believer in the potential and power of stem cells. But he says that some of the dubious stem cell treatments now being offered have resulted in deaths and injuries. Other unpleasant issues arise as well in stem cell research, including the tendency of some stem cells to generate cancer cells, and Knoepfler wants to talk about them. “Too often in the academic section of the stem cell field, people pussyfoot around the most important issues or do not even dare talk about them at all,” says Knoepfler. He is “not on some crusade to dissuade people from getting risky stem cell procedures,” but says safety and training need to be encouraged. Reckless behavior endangers the entire field, he says. “There is no better illustration of the risks of unlicensed stem cell treatments administered by untrained doctors than the recently reported case of a woman who received a stem cell facelift, only to have bone grow in her eye,” he said, referring to a Scientific American report involving a Beverly Hills clinic. To help patients, Knoepfler’s book begins with the basics: What are stem cells? He moves on to topics ranging from whether stem cells can treat baldness to whether they can help with afflictions such as Alzheimer’s, autism and arthritis. Along the way, he discusses the potential for regenerating limbs, made-to-order organ transplants and curing spinal paralysis, none of which have reached the stage where patients can be assured of using the techniques safely and effectively. Stem cell treatments are not exactly new. They were first used in the 1950s in bone marrow transplants. More recently, what has excited researchers and the public are pluripotent stem cells, which have the ability to transform themselves into any part of the body. The full range of stem cells, however, includes adult, fetal, embryonic and induced pluripotent cells (iPS), which are also known as reprogrammed adult stem cells. “Each type of stem cell has clinical promise for specific diseases, but also certain weaknesses. Some stem cells also stir controversy. For example, embryonic stem cells have been at the center of ethical debates for more than a dozen years,” Knoepfler writes. Embryonic stem cells are derived from an embryo only a few days after fertilization and require destruction of the embryo. It was that type of process that triggered the federal restrictions – now rescinded by President Barack Obama – on federal funding of research using human embryonic stem cells. Some people believe that the process amounts to killing a human being, while others do not. Knoepfler has come up with a battery of questions and “rights” that persons considering a stem cell treatment should address as they contemplate spending tens of thousands of dollars for treatments. His “patient bill of rights” includes the right to treatment by a trained provider, the right to continuing follow-up and the right not to be charged to participate in a clinical trial. Just this month, he added on his blog, ipscell.com, the top 10 questions that patients should ask. They include such areas as the details of the methods to be used and costs, the cell numbers and types, regulatory compliance by the provider, data supporting the cellular product’s effectiveness and data supporting its safety. One of the areas of Knoepfler’s research involves cancer stem cells, a topic of special interest to him because of his own encounter with the disease. “Even with something as wonderful as stem cells, there also can too much of a good thing. Stem cells can cause cancer and in certain conditions they can make cancer especially hard to cure,” he explains. Knoepfler did not use stem cell therapy to treat his cancer, but he says that as a cancer survivor he understands all too well why patients turn to it when they’re dealing with a life-threatening or life-changing medical condition. Knoepfler’s advice may not be appreciated by some of the firms he writes about, but others think well of him. Jonathan Thomas, chairman of the $3 billion California stem cell agency, says the field needs more scientists like Knoepfler. “It's hard to overstate the value of what Paul does,” Thomas said in an email. Knoepfler has received $2.2 million from the stem cell agency for his research, which is also funded by the federal government and other sources. He has been at UC Davis since 2006, part of the campus’ stem cell program, which has received $131 million in grants from the state stem cell agency since 2005, generating 333 research-related jobs. “Stem cells are today’s new frontier of medicine that will no doubt have an unimaginable impact on our lives, but even more so on the lives of many of our kids and grandchildren,” he said. Jensen is a retired Sacramento Bee journalist and has produced the California Stem Cell Report (californiastemcellreport.blogspot.com) on the Internet since 2005, writing nearly 3,600 items. All stem cell research is not created equal, a truism that found fresh validity this week. Particularly research that could play a role in whether the California stem cell agency can find more cash to continue its operations. The difference was highlighted yesterday by articles on the stem cell agency’s blog. The pieces dealt with findings – some esoteric and some not-so-esoteric -- that received international attention. The articles written by CIRM staffers Amy Adams and Don Gibbons were fine as far as they went. But it is one thing to deal with the nuts and bolts of research and another to look at it from the perspective of whether it resonates with the public. The research in question is from Spain and Stanford. Researchers in Spain reprogrammed adult cells in a living mouse to become like embryonic stem cells. Those results received much “gee whiz” attention in the mainstream media, most of which overlooked problematic aspects involving its cancer-linked results(see researcher Paul Knoepfler's take here and Gibbons' item here). The other findings out of Stanford dealt with people and Down syndrome, along with cognitive function, aging and Alzheimer’s. Both the press release and the CIRM blog item briefly noted that funding from CIRM helped to sustain the research. Stanford buried the information at the end of its release. CIRM mentioned it much higher in its item. In neither case were specific funding figures mentioned. Nor was there any attempt to say whether this research would have been slow in coming or not coming at all without CIRM help. Why does that matter? The $3 billion state stem cell agency will run out of funds for new grants in about three years, not very long given the length of time it takes to develop major funding sources and the rather deliberate pace at which CIRM works on some matters. Currently the agency spends about $300 million year on research and is not likely to be able to renew its funding at that level. But if it wants to play at even the $50 million level, it will have to generate some sizzle from the research that it has funded. Sizzle is what the Stanford research has. It resonates with people. We all know somebody or a family with issues such Alzheimer’s, Down syndrome or cognitive problems. Missing largely, however, from the press releases, media stories and even the CIRM blog is some sort of way of assessing whether CIRM funding played a KEY role. And that is the clincher for agency. That is the sizzle that will sell the agency as absolutely necessary if it truly wishes to turn stem cells into cures. The California stem cell agency has re-organized its cyberspace book shelves to help make its Web site easier to navigate. Nothing has been removed, said Amy Adams, the major domo for the CIRM’s Internet operation. Writing on the agency’s blog, she explained one of the major changes dealing with “our funding” category. Most of the information on funding has now been moved to “our progress,” she said, leaving only information on how to get and manage grants under the “our funding” category. Other changes have occurred as well. You can read all about them here. The California stem cell agency has taken notice of a piece in the New York Times that reports on questionable practices of enterprises that say they are stem cell clinics. In a blog item written yesterday by Don Gibbons, senior science and education officer at the agency, the agency said that the practices described in the article generated a cautionary advisory to patients last month by the stem cell agency and 12 other organizations. Gibbons noted that much of the Sept. 9 Times article by Laura Beil focused on one clinic, the Regenerative Medicine Institute in Tijuana, which is just on the California-Mexico border. Gibbons’ item reported that one U.S. expert says that some of the clinic’s key procedures would not pass muster in this country. Gibbons also said that the International Society for Stem Cell Research, which backed away under threats of lawsuits a few years ago from some criticism of dubious stem cell clinics, plans to release this week a new statement on these sorts of treatments. “In the United States, too, it is easy to conduct business outside government oversight, said Dr. George Q. Daley, who studies stem cells for blood diseases at Harvard Medical School. Close down one shady operation, he went on, and more seem to randomly pop up. Rise Up and Blog! Any Scientist Can! The old saying has it that you can tell the pioneers by the arrows in their backs. Tell that to Paul Knoepfler, the UC Davis stem cell researcher who has been something of a pioneer in stem cell blogging and still is -- at least given that almost no other stem cell researcher blogs both as a researcher and patient advocate in addition to taking on wide-ranging business and public policy issues. Knoepfler does have a few arrows in his back, some from enterprises that are less than happy with his vieww of their conduct and some from within the stem cell research community itself. But overall he has found the experience beneficial and rewarding. In an article in Nature Medicine Sept. 6, Knoepfler is recruiting more researchers for the stem cell blog brigade. To encourage them, he recounts his experiences and costs (such as $1,500 for his special domain name, although a normal domain name can be had for virtually no cost). His experiences include working late at night and on weekends. We can testify that the father of three puts in the hours, just based on the nature of the blog content and frequency of posting. “To all this a reader might say, ‘Okay, this all sounds well and good, but you can't have your cake and eat it, too! Your science must have suffered from all this.’ In fact, I have lost some sleep, but I have not seen much in the way of negative scientific consequences. My lab has done very well during the past three years, and we have published many important papers, including one earlier this year that demonstrated the molecular similarities between induced pluripotency in stem cells and oncogenic transformation in cancer cells. I even secured tenure during this time. Knoepfler’s bottom line pitch? Any scientist can! The battle over whether excessive protection of stem cell IP stifles research that can lead to cures was engaged once more today with a broadside against the powerful Wisconsin Alumni Research Foundation(WARF). The attack came from California’s Consumer Watchdog organization and New York’s Public Patent Foundation which have been tussling with WARF for seven years. The dispute over intellectual property (IP) centers on a patent on human embryonic stem cells held by WARF and which the other organizations are challenging in a federal appellate court in Washington, D.C.
More specifically, the patent involves research by Jamie Thomson of the University of Wisconsin, and now also of UC Santa Barbara, in which he isolated human embryonic stem cells. Consumer Watchdog of Santa Monica, Ca., this morning issued a news release concerning the organizations’ appellate brief that was filed last week. It cited the U.S. Supreme Court ruling earlier this year that said genes cannot be patented because they exist in nature. The lead attorney in that successful case, Dan Ravicher of the Public Patent Foundation, is also handling the challenge to WARF. Here is a link to legal documents and other material in the case.